Since 1980, Make-A-Wish has been creating life-changing wish experiences for children with critical illnesses around the world. Wishes have proven physical and emotional benefits that can give children with critical illnesses a higher chance of survival. When a wish is granted, a child replaces fear with confidence, sadness with joy and anxiety with hope. Wishes even reunite families and enrich entire communities. Every eligible child needs a wish to count on! Wishes are more than just a nice thing! A wish experience can be a game-changer for a child with a critical illness. This one belief guides us in everything we do at Make-A-Wish (r). It inspires us to grant wishes that change the lives of the kids we serve. It compels us to be creative in exceeding the expectations of every wish kid. It drives us to make our donated resources go as far as possible. 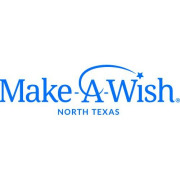 Would you recommend Make-A-Wish Foundation of North Texas?